Specializing in beautiful, low maintenance edibles. As spring approaches and seedlings start sprouting in windowsills, basements, and greenhouses throughout the Midwest, I'd like to take a moment to reflect on the past, and glimpse into the future with a few photos. A grape Vine beginning to grow and hide the driveway and vehicles. 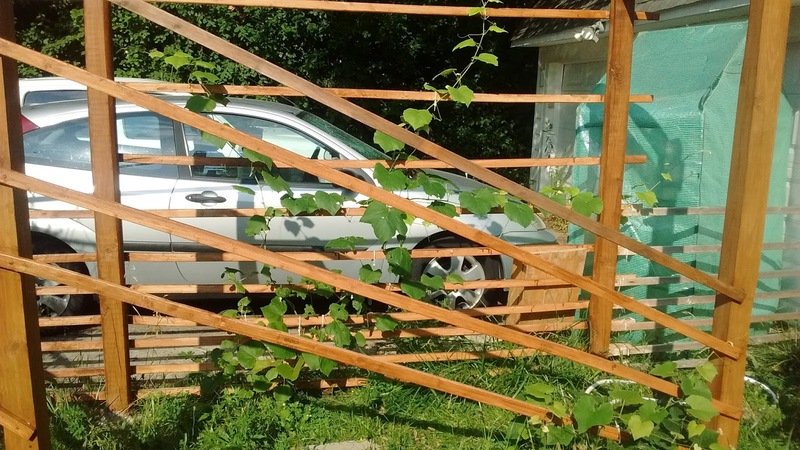 The vineyard will also create an enchanted walkway, and produce three varieties of cold-hardy grapes. 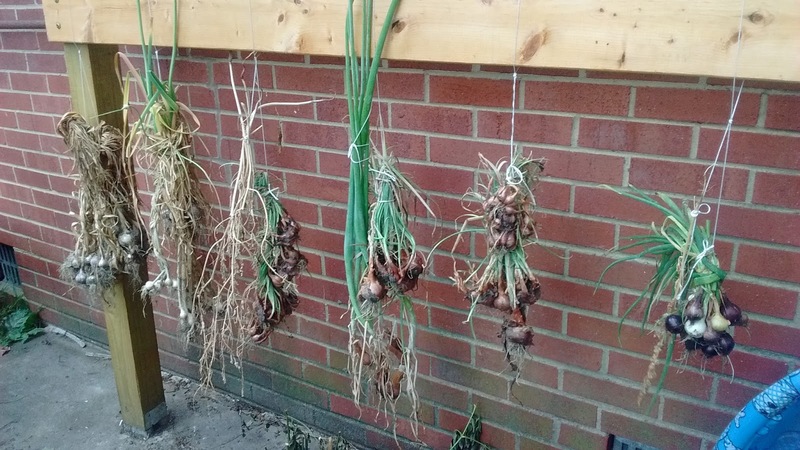 Onions and shallots hang to dry on an arbor, adding a rustic country feel. 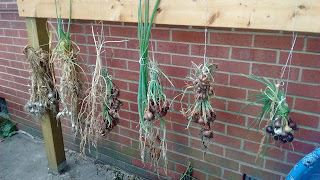 Shallots have decorate blooms in June. 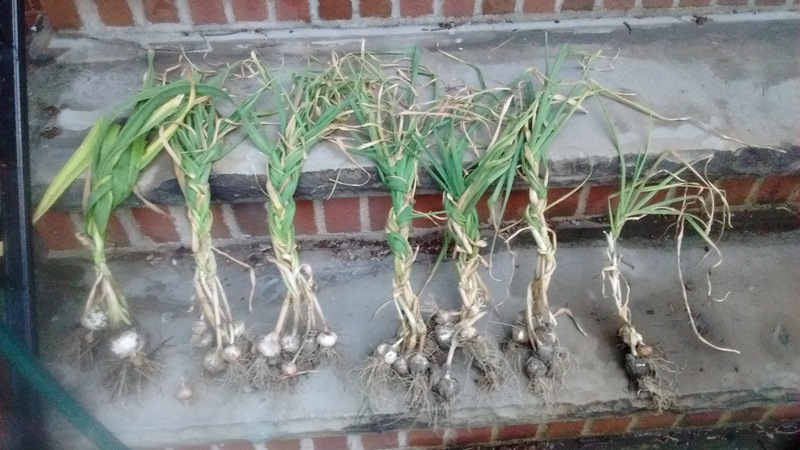 Fresh braids of garlic to decorate the home. 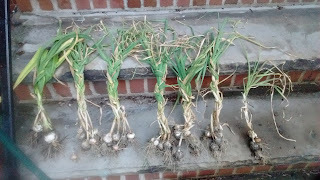 Hard neck garlic can stay green during winter. Elephant garlic has a decorate bloom in June that rivals other showy aliums. The bloom does not detract from the yield. 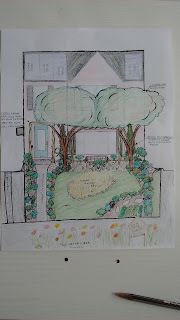 Another edible landscape in the making. 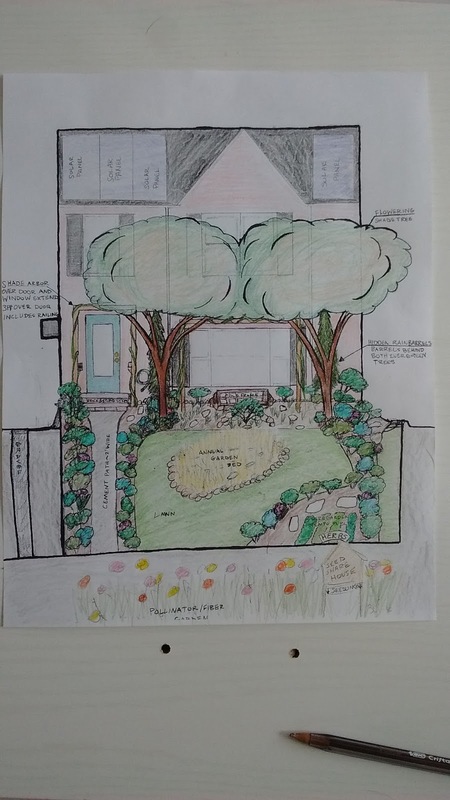 The deciduous fruit trees will provide a shower of blooms in spring, shade during summer, a show of vibrant color in the fall, along with a delicious front yard harvest. The walk will be scented with lavender, chamomile, thyme, oregano, echanacea, sage, and more, making gardening an olifactory buffet.